Though the deadline for serving Justin DiPietro was March 17, a judge this week gave the attorney for her mother a 60-day extension so he can file notice via the newspaper. A Cumberland County Superior Court justice has approved a request by the mother of missing toddler Ayla Reynolds and her lawyer for 60 more days in which to serve the child’s father with a wrongful death suit. 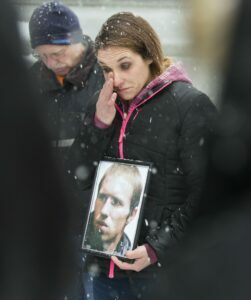 William Childs, attorney for Trista Reynolds, said Tuesday he plans to place a legal notice soon in the Morning Sentinel, in Waterville, to notify Justin DiPietro of the lawsuit since extensive efforts to serve him in person have been unsuccessful and his whereabouts are unknown. “The court has issued an order whereby we have 60 days to complete publication in the Waterville Sentinel and to have a process server leave a copy of the complaint at Justin DiPietro’s last known address in Los Angeles, California — Winnetka, California,” Childs said Tuesday in a phone interview. 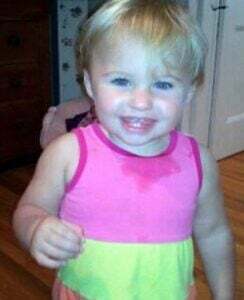 Ayla was 20 months old when she disappeared from her paternal grandmother’s house at 29 Violette Ave. in Waterville where the child had been staying with DiPietro. He reported Ayla missing the morning of Dec. 17, 2011, and has claimed she was abducted. DiPietro, his sister Elisha DiPietro, and Justin’s then-girlfriend, Courtney Roberts, were in the house that night. Ayla’s grandmother, Phoebe DiPietro, the owner of the home, was not there. Childs says he plans to run the legal notice for two weeks in the Morning Sentinel starting next week. He has 60 days to file the newspaper document with the court to prove it was published. A process server in California will deliver a copy of the complaint to Justin DiPietro’s last known address in Winnetka, according to Childs. “Then, discovery can begin in earnest,” he said. Childs said the justice will issue a discovery schedule whereby Childs can depose witnesses. He said he expects he will be able to conduct discovery from about May of this year to about February 2020. Childs’ court documents include private investigator affidavits, as well as an affidavit by a Kennebec County Sheriff’s deputy, Allen Wood, who said he tried to serve Justin DiPietro at 29 Violette Ave. in Waterville but was told by DiPietro’s mother that he does not live there and has not lived there for two years.